Based in Dayton and Springfield, Ohio, Pest Doctor Systems, Inc. provides Commercial, Residential and Institutional Pest Management for thousands of customers. In addition we provide an exclusive service we have trademarked and is known as our “Alltra” program. Alltra provides elimination and prevention of over 40 different insects and rodent pests for homes as well as complete termite relief for all structures. Daniel come out to inspect and, one week later, DJ performed the extermination. Both were very pleasant and professional. It’s only been five days, but haven’t seen any more carpenter ants. A couple more follow-ups will be needed just to make sure the ant problem is resolved. 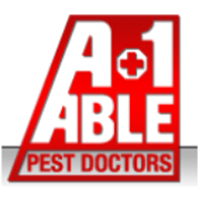 If you’re looking for a pest doctor, then give A-1 Able Pest Doctors a call. I do believe you will be a happy customer. I am a Realtor and needed last minute termite remediation in order to close a transaction. Lynn and Julie stepped up to the plate to make it happen. The entire team is professional and outstanding!!!! I will use them in the future everytime! A1 does the job just like they're supposed to. Personal are friendly and very helpful also. Keep up the good work. It was fast and easy. Very nice young man. It was easy to set up and so far easy to acsess my account and iformation. Very nice people great joh. Yes so far no problems. They respond quickly and professionally! If you are looking for someone who responds quick, please give them a call. Very quick to schedule and assess. Pleasant and knowledgeable staff, who gave options before rendering treatment. We are very pleased with their service. All is good! Very happy! They are always friendly and do a great job while they are there! They go above and beyond to protect from any pests you might have now or in the future! Thank you for service today. Very pleased with serviceman and his professional attitude. Very professional and courteous. They did a fantastic job removing my yellow jacket nest in a timely manner. I will not hesitate to call them again! Great service and very timely! Got the problem resolved. Anglina did a great job. She is competent, courteous and goes out of her way to provide extra services. A credit to you company. They did what they promised--they removed the bedbugs and all other insects with their fumigation process. So far I had a follow up chemical treatment, just for security, and was please with the result then, too. A1 Able Pest Control service technicians are thorough and arrive on time. I have not seen one critter, spider or other bugs since they serviced my new home. Was on time. Explained service and what to expect. Very Satisfied. A-1 Able Pest Doctors were amazing! Shortly after requesting a Wood Destroying Organism Report to fulfill VA home refinance guidelines, A1 Able Pest Doctors contacted our Borrowers and scheduled a next day appointment. Courteous and professional, the Qualified Pest Control Representative inspected the property and handed the report to us next day. Our Borrower was very satisfied with A1 Able Pest Doctors because they were on time, efficient and expertly competent. I would recommend A1 Able Pest Doctors to anyone and plan to employ their services again, in the future. Yes we are pleased with service. Notifies us of when they are going to be performing the monthly service a couple days in advance so we are aware. Friendly techs who answer all questions about service and findings. I am happy with my service. We are extremely satisfied with Able and their service. It means I don't have to worry about those pesty old bed bugs. Thank You. A-1 has been servicing our business for many years. The services and coustomerbrelations are outstanding. Keep up the great work! Very kind and respectful, thorough and informative. Thank you for the great job you did for us. I am very happy with the service. I have used your service for both ants and mice! I always appreciate working with the customer service representatives at A1Able; they are prompt, courteous, listen to me, and are always ready to help and answer questions. We're very happy with the service we receive. The tech that came was friendly and professional and did a great job and paid extra attention to our front porch where we have been seeing some bees buzzing around.